Pruning large trees regularly is essential if you want to stop them from growing too much. However, trimming tall trees is extremely dangerous if you take it on as a DIY project. You must call in the experts for the job. 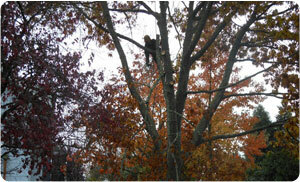 Using the best quality tree climbing gear, our workers are able to reach to the tallest of trees and prune them. Our workers have expert level tree climbing training which helps them ascend the trees easily. When it comes to pruning large branches, this is a job best left to the experts. You must choose a professional company that knows how to trim back a tree without damaging the nearby structures - or anyone who is standing nearby. If you are concerned about the cost of pruning large trees, then you can call our help desk. 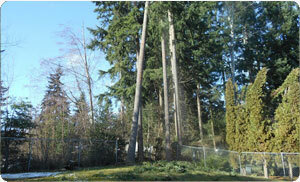 Our consultants will give you the estimate of costs involved in trimming tall trees and pruning large trees. Why Choose Us for Trimming Tall Trees in Buckley? With the plethora of companies offering services for trimming tall trees in Buckley, choosing the best one can be a daunting task. However, to ensure that you are getting the services from the experts in trimming tall trees, you must research and take reviews. We are the ideal company to choose for trimming tall trees in Buckley as we possess all these qualities and more. We know about the proper way to cut tree branches and how to trim tall tree limbs. With us as the company known for trimming tall trees, you can rest assured that there will be no structural damage and that the entire process will go smoothly. 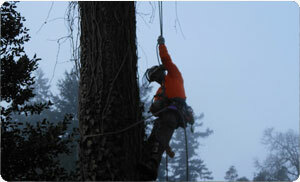 If you need tree climbing or pruning large trees in Buckley, feel free to call Hunter's Tree Service at (253) 777-1938. Our representatives will help you and guide you further.